Let me tell you the inspirational story of one of the most level-headed brides I’ve ever seen and how nothing could ruin her wedding day. The forecast for the wedding looked wet-to-diluvial, the kind of rainy day that you see in bad movies of Biblical stories. The kind that made me pack extra umbrellas, raincoats and dry socks, just in case. 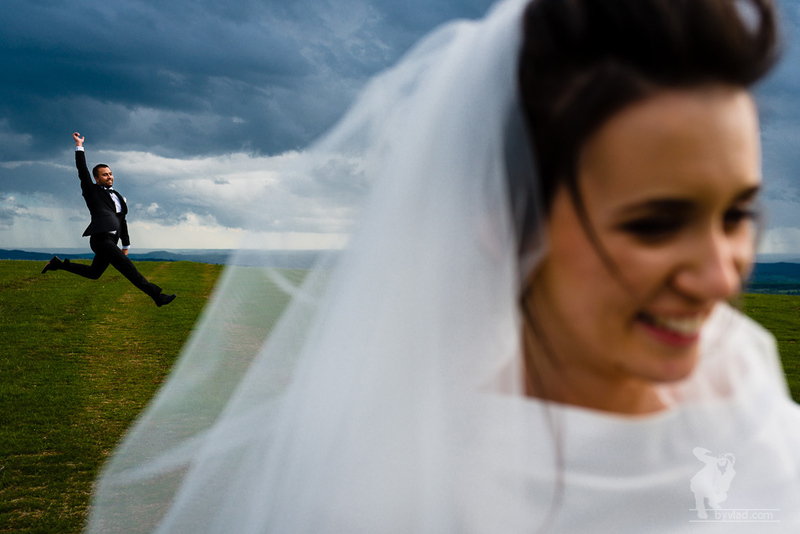 Luciana started her day alone, with hair and make-up about 50km from the wedding venue. Not ideal, I know, but when you’re planning your wedding in a small town in an awesome location, you sometimes have to make compromises. But after such a long drive, she wasn’t happy with the make-up – so she had to redo most of it herself -, and the wind was strong enough to mess her hair by the time she got to the car. Definitely not off to a good start. She hurried on her way back, as she was running late, and, as her luck would have it, she got pulled over and got her license suspended. Yes, Luciana got her license suspended on her wedding day, one of the rainiest days of the year. And then, something magical happened. She tells me that the more bad things were happening, the more she was cheering up because she knew it couldn’t get much worse and there had to be a proverbial silver lining somewhere. By the time we met, she was zen. We cracked jokes about it. She gracefully let herself be roasted about it the entire day. After the religious ceremony, the rain began to subside a bit. The skies were still dark, rain was still looming. We had two locations set up for the photo shoot, the awesome hills around Horezu, and a safe indoors location. They asked me where I would rather go. “You know how I feel about this”, I told them. Luciana and Robert looked at each other, smiled and approved. “That’s what we thought. We have umbrellas, let’s go to the hills.” And sure enough, when we got there, she changed into her sports shoes and we were rewarded with rolling hills of rich, saturated green and some of the most incredible after-storm lighting that I’ve seen this year. The universe was finally giving us a break. And we lived happily ever after on that day. From now on, whenever things don’t go as planned for a wedding, I will always think of Luciana, because she has set the coolness benchmark ridiculously high.